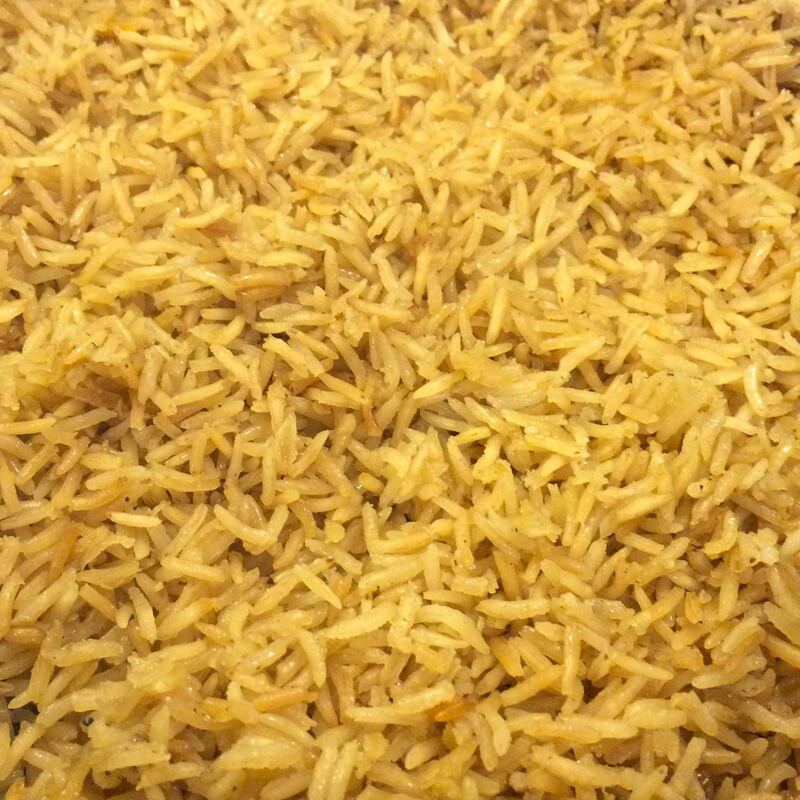 Frying the rice before cooking it (instead of frying leftover rice) gives it a nuttier flavour. 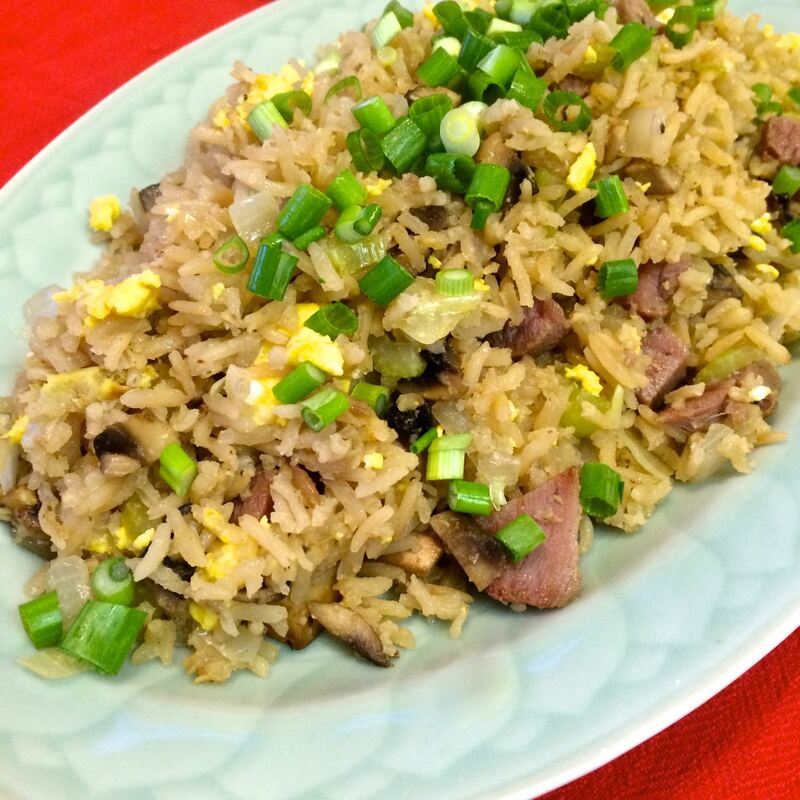 The recipe still uses small amounts of vegetable, meats, and egg to make it a complete meal. Be creative with this, as it is a very simple meal, using what is at hand. 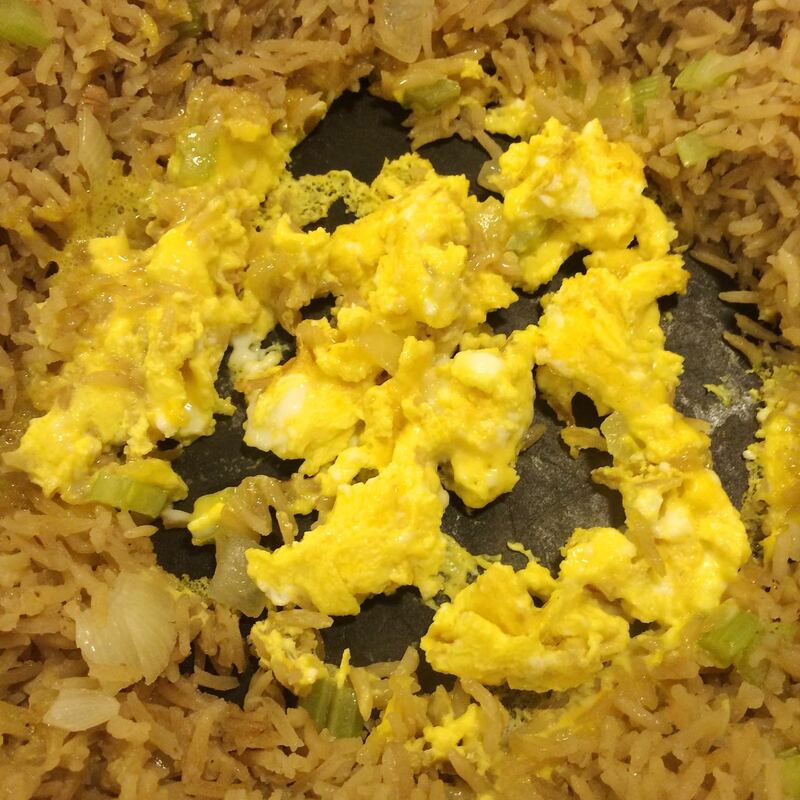 It can easily be fully vegetarian, or just use the egg if you like. 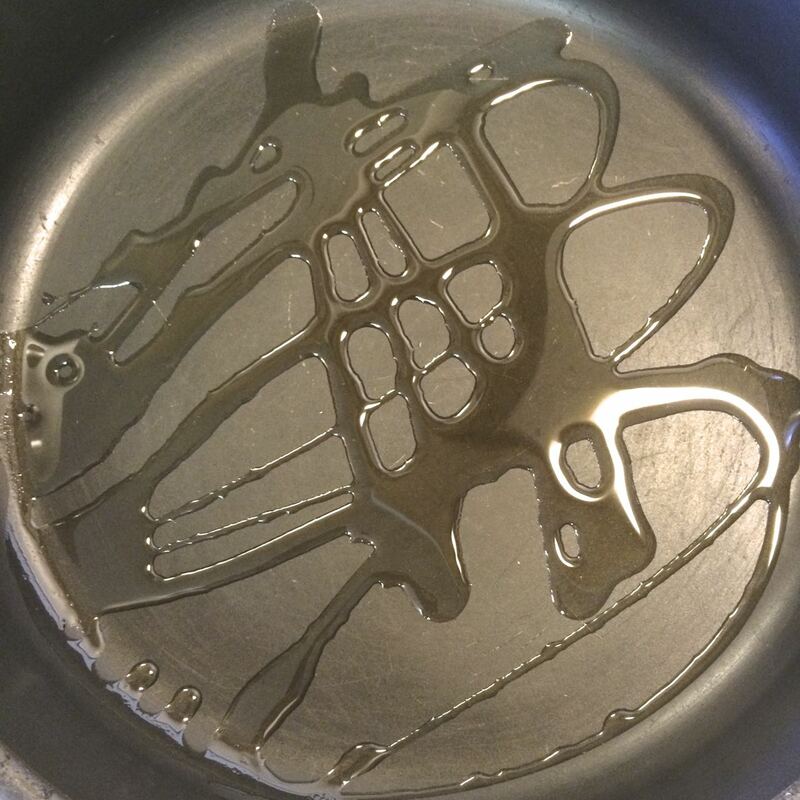 Heat 1 tablespoon of oil in a large deep skillet, over med-high heat. 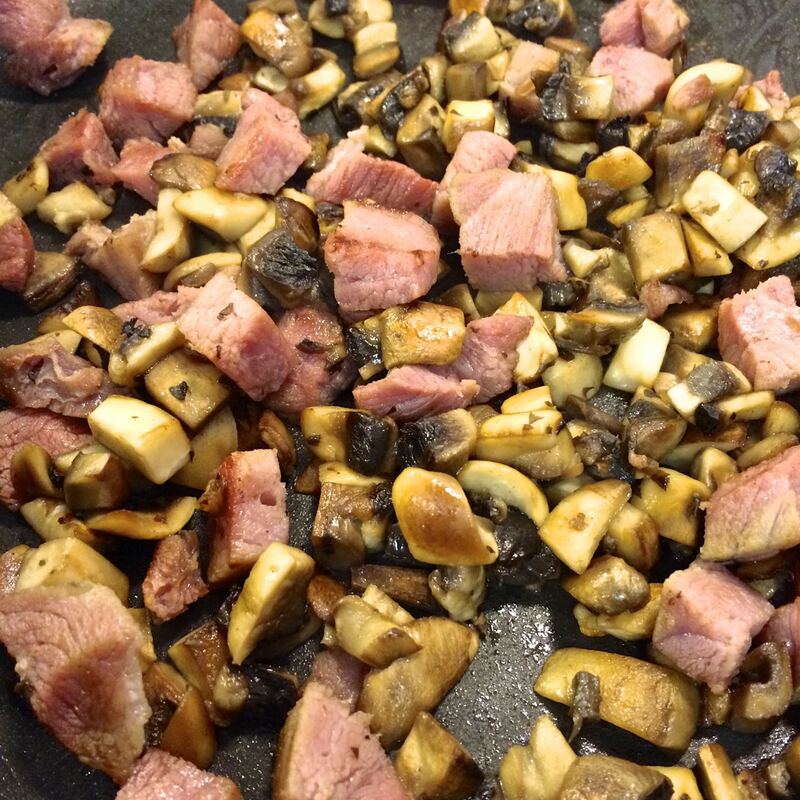 Add in the chopped mushrooms, and cook stirring occasionally, until they’re just starting to change colour. Add in the chopped ham, and continue frying for another couple of minutes until some edges are starting to brown. 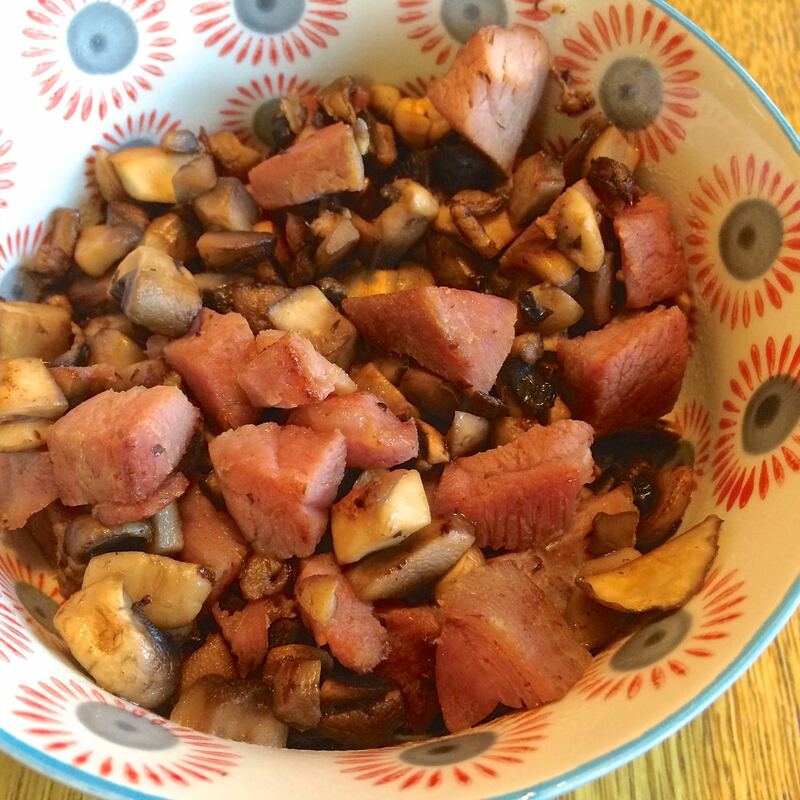 Remove the mushrooms and ham from the pan to a bowl, and reserve. 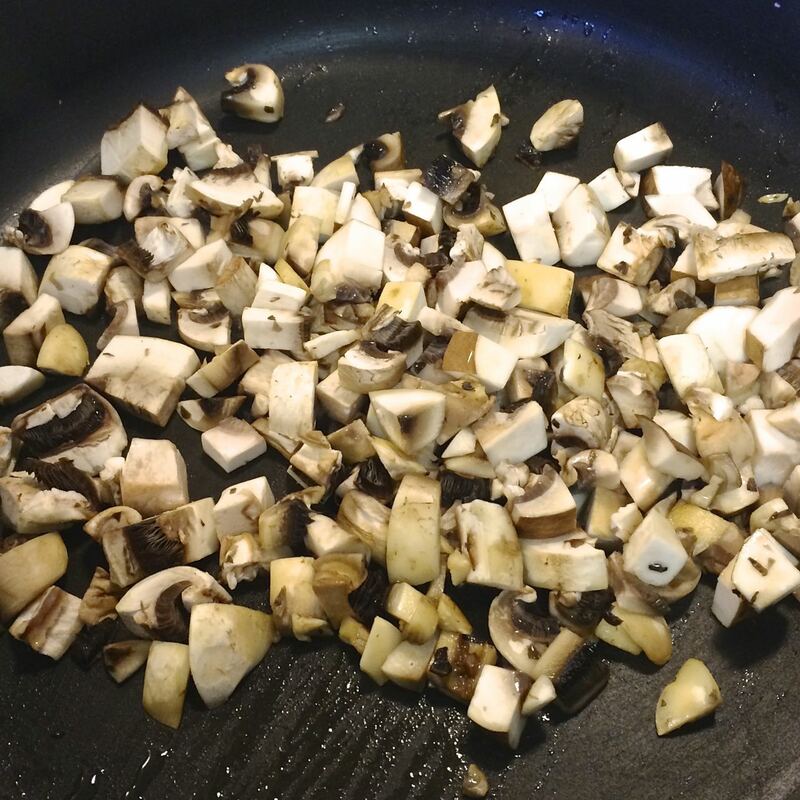 Reusing the same skillet, add in the remaining 2 tablespoons of oil, heating over med-high heat. 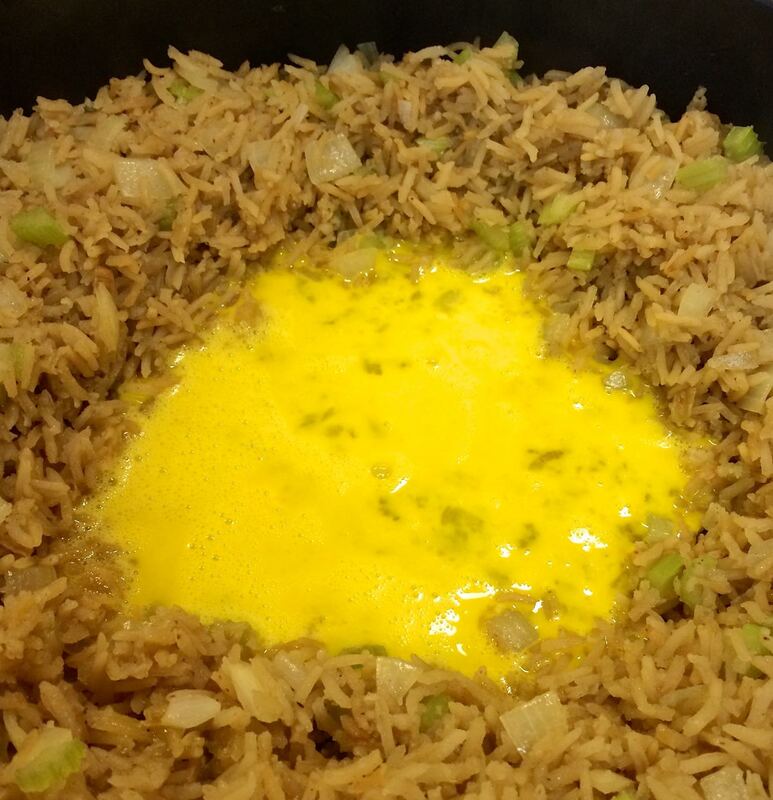 Reduce the heat to medium, and add in the rice. 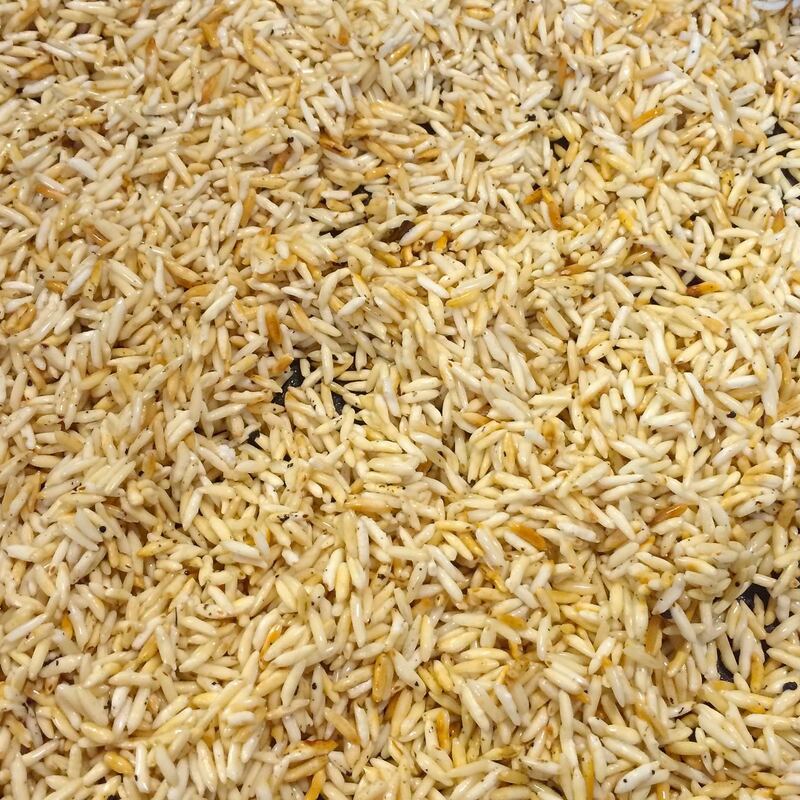 Stir occasionally as the rice becomes golden. This takes 6-7 minutes. If it’s browning too quickly, reduce the heat. 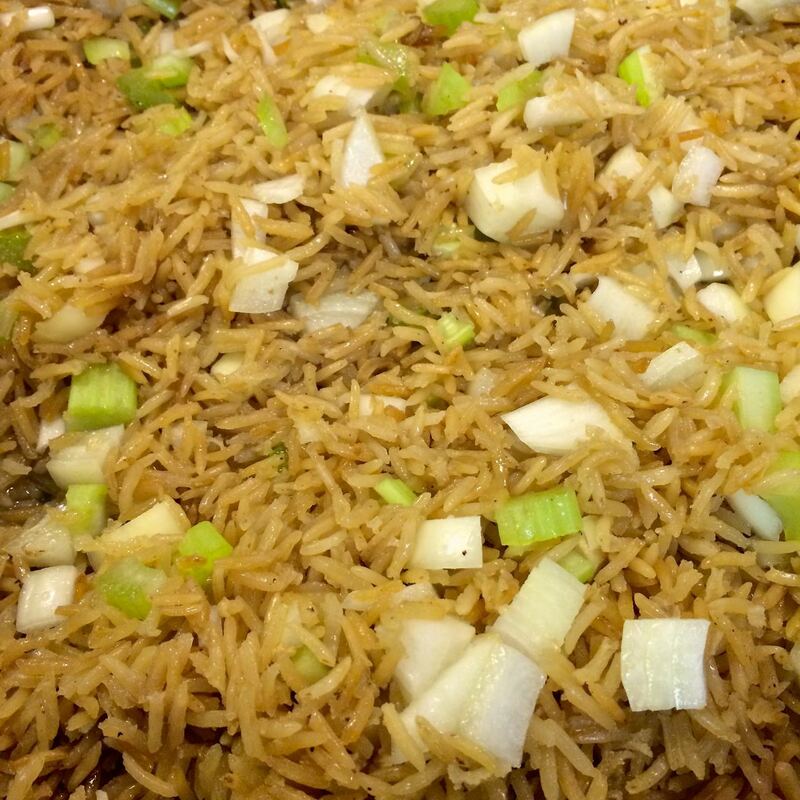 You don’t want to scorch the rice. 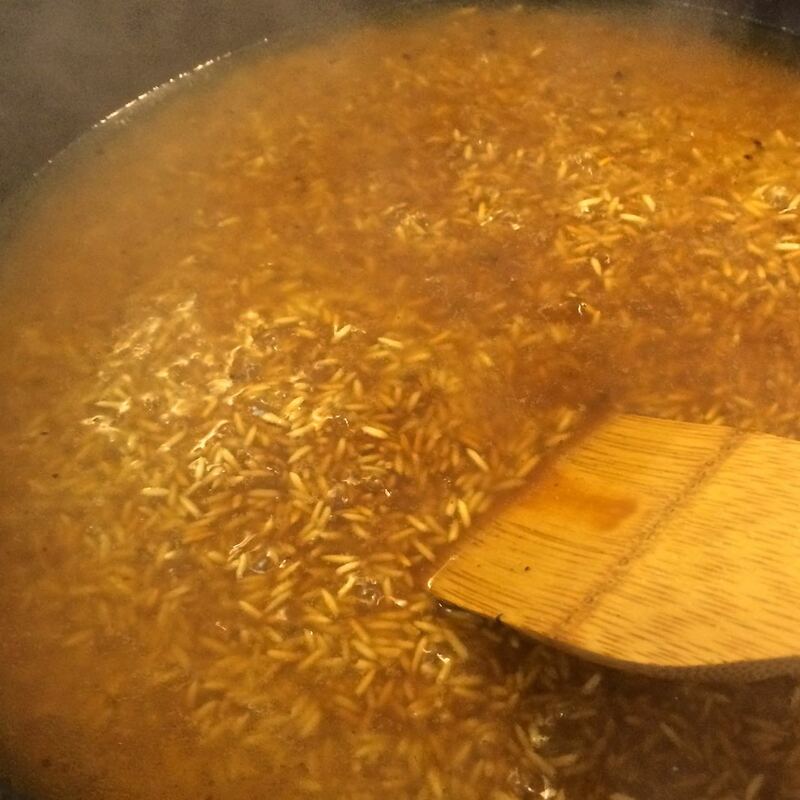 Once the rice is golden, slowly add in the hot broth, salt, and soy sauce, while stirring. Bring to a gentle boil. Cover, reduce the heat to low, and cook for 15 minutes. 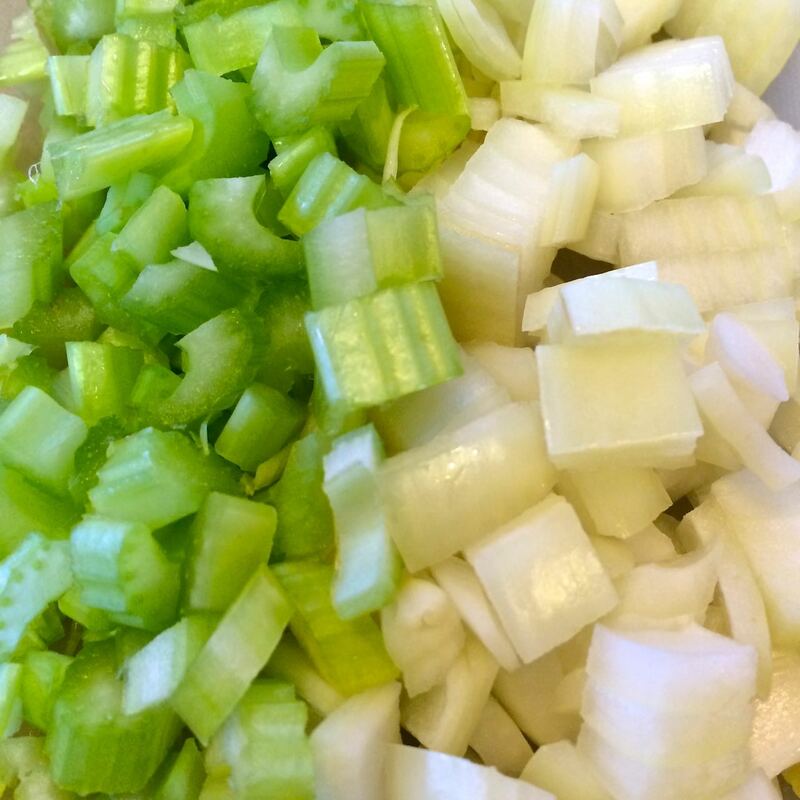 Add in the chopped onion and celery, stirring well to distribute. 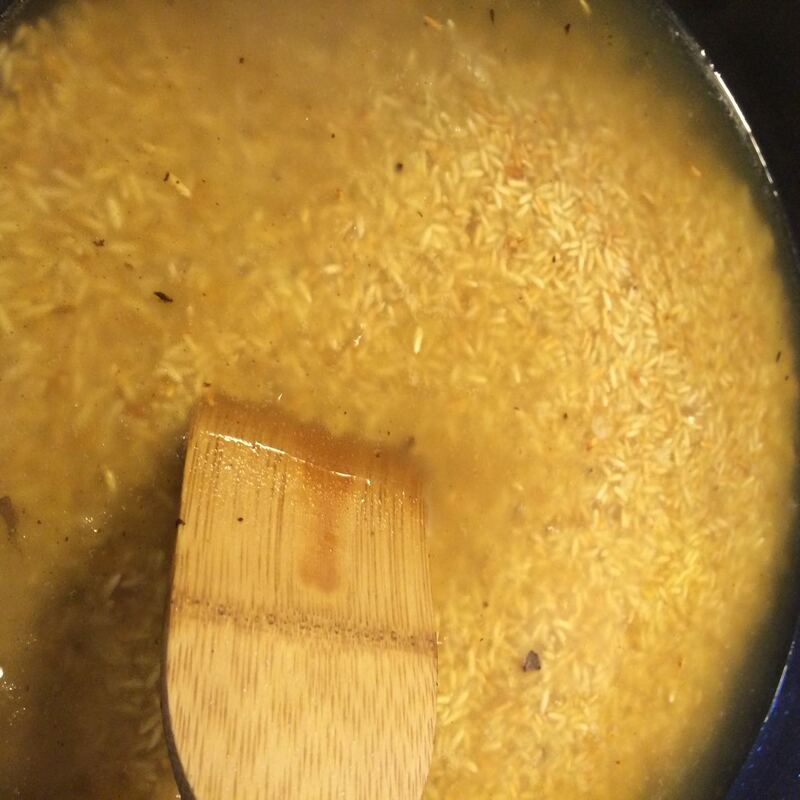 If the mixture looks a bit dry (move some of the rice and see if there’s any moisture in the pan), you could add another ¼ cup of hot water. Cover the pan again, and continue cooking for another 15 minutes. Essentially steaming the vegetables. 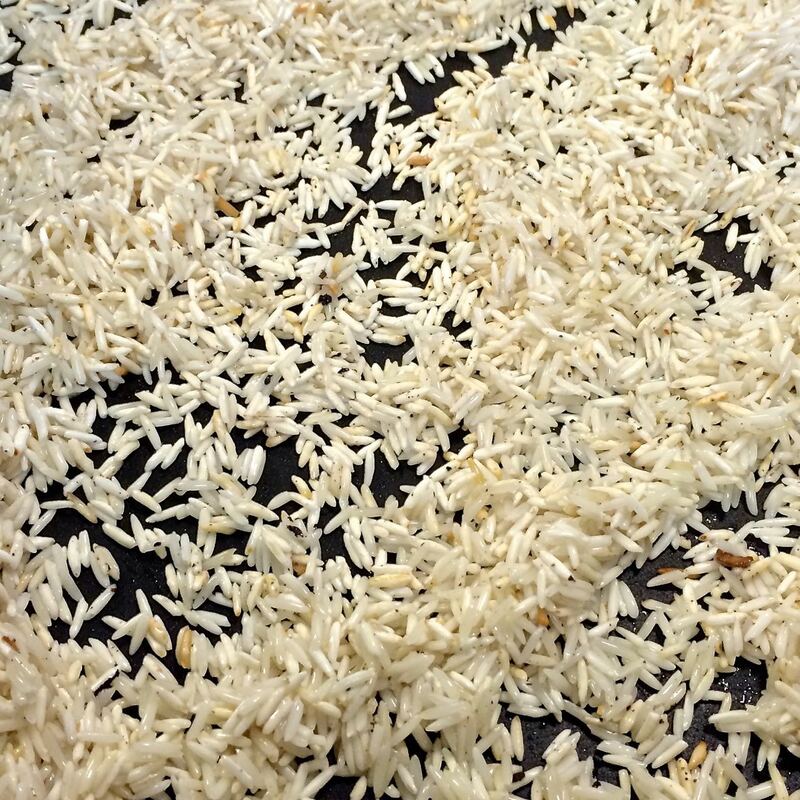 Uncover the rice, and clear an area in the center of the pan. Add in the egg and let it start to cook. After a minute or two, break up the egg, turning it. 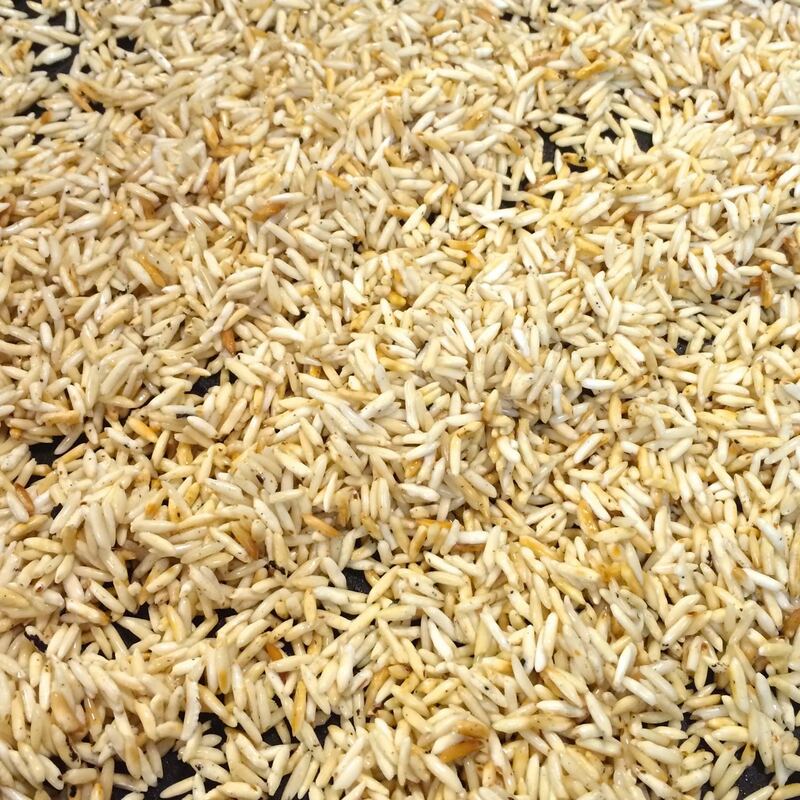 Once it is just cooked, stir it into the rice, trying to leave it in bite-sized pieces. 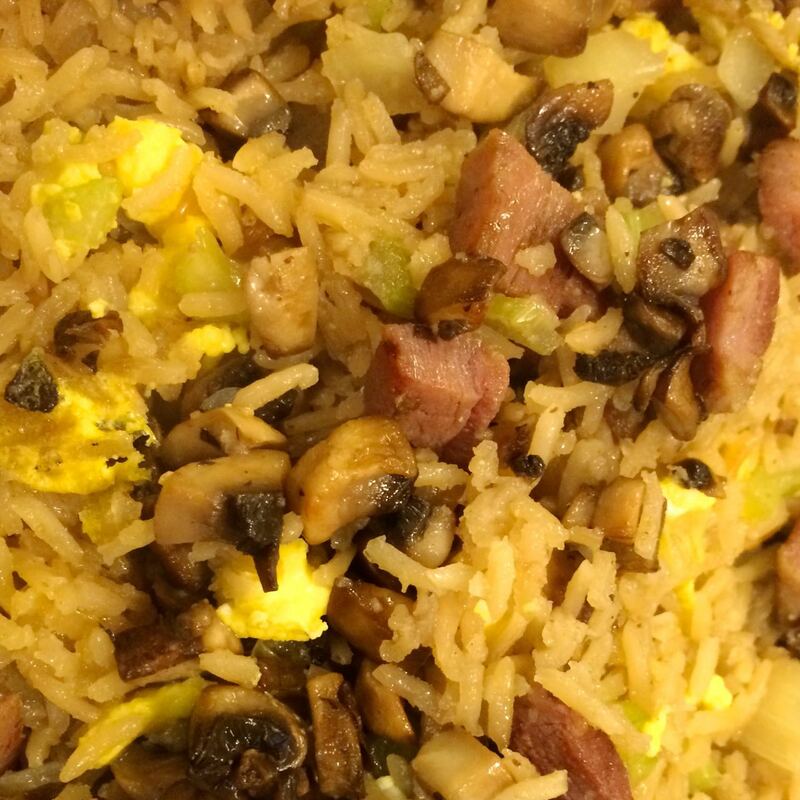 Finally, turn the heat up to medium, and add the mushrooms and ham back into the rice mixture. Stir a couple of times while heating the whole of it for another minute or two. 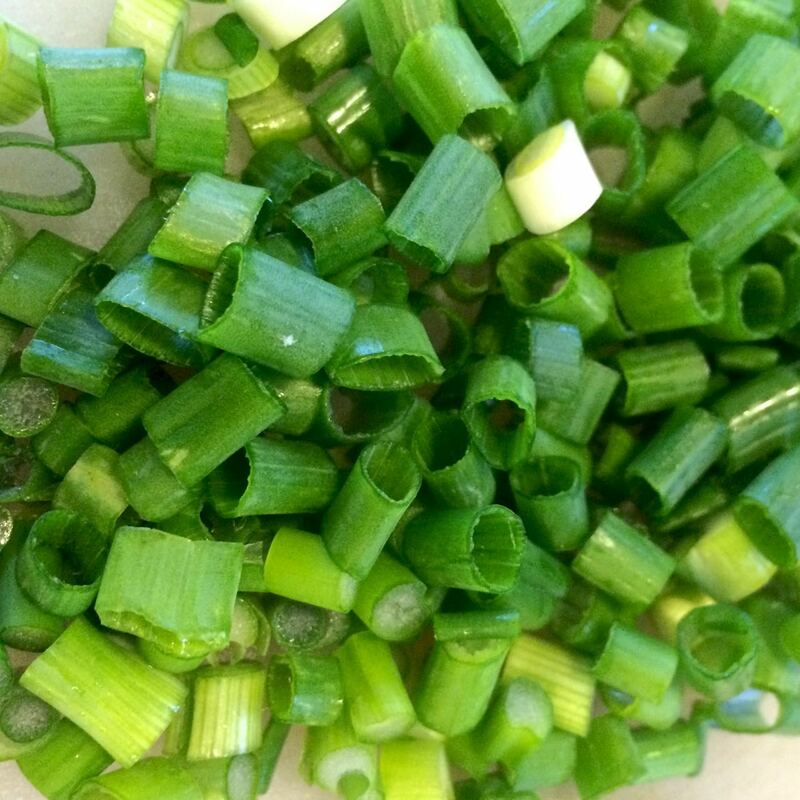 Serve on a platter, sprinkled with chopped green onions. Use chicken or turkey in place of ham, or even some bacon. Add in some steamed, chopped vegetables such as broccoli. 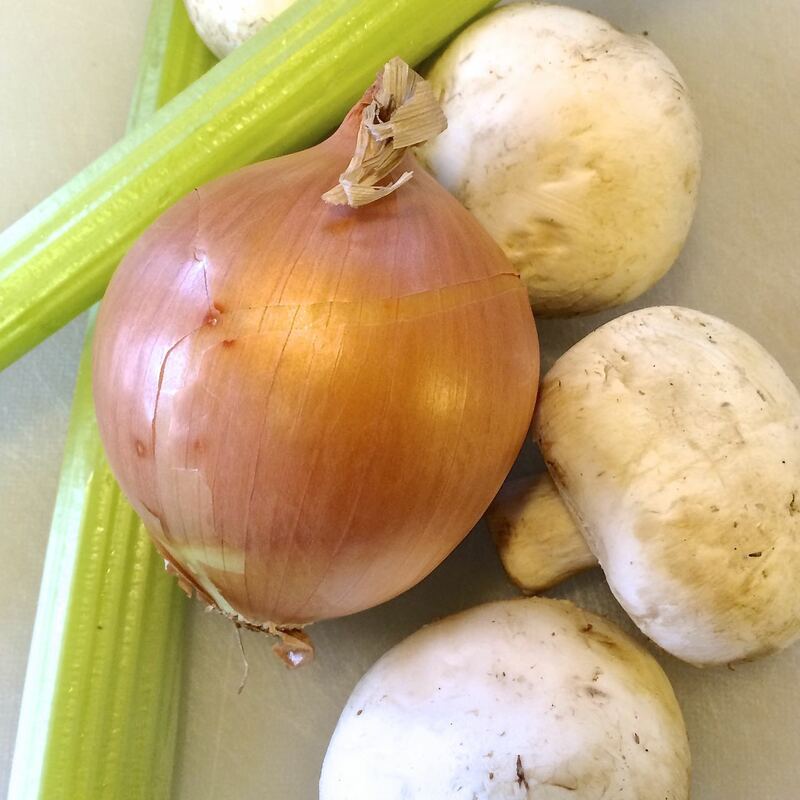 Add in a sliced garlic clove, or two with the onion and celery, and/or some minced ginger. Add in a minced hot pepper (seeds removed), with the onion and celery. Try different types of soy sauces, such as Ketjap Bentang. To make it spicy, stir in a small spoonful of Sambal Oelek, or Garlic Chili Sauce.